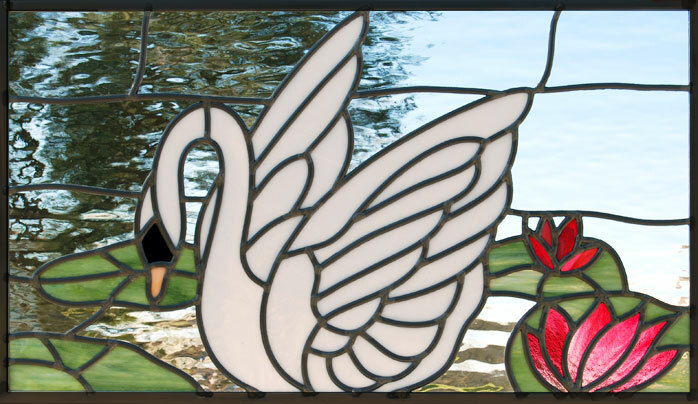 "SWAN 8" STAINED AND LEADED GLASS WINDOW CUSTOM AT GLASS BY DESIGN. 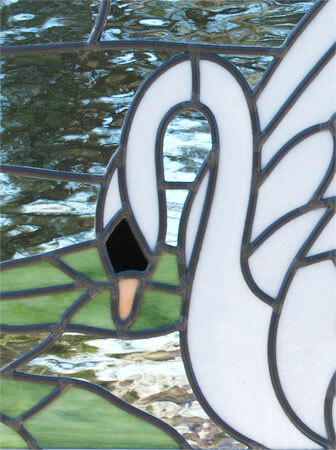 This stained and leaded glass Swan window was 26" x 15". We adapted this elegant Swan — our favorite for a bathroom window — one of a pair of Swans on a sheet of gift wrap paper.